This painting was inspired by evening walks I used to take with my dog when we lived in Ohio. We passed this little house often because it was just up the street from our house and was on the way to the park. 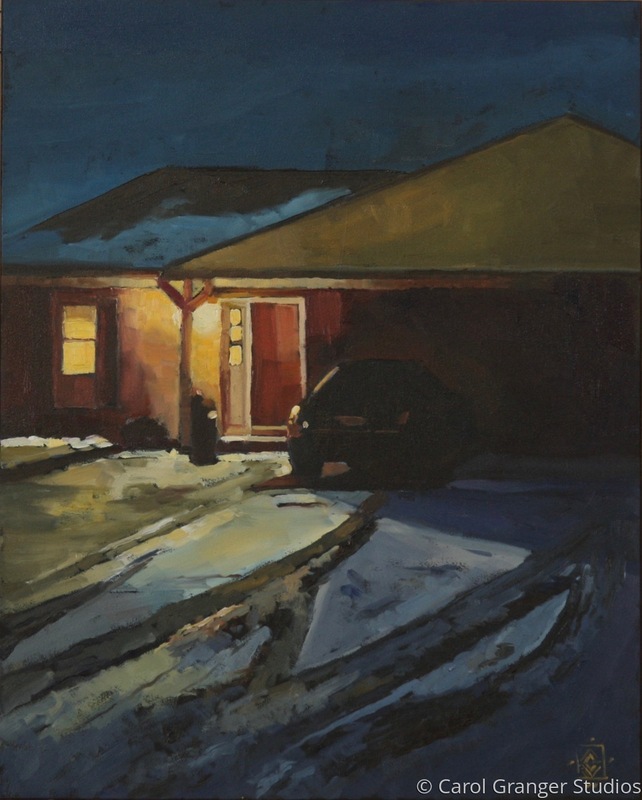 I like the snowy shadows in the tire tracks and the coziness of the reflected porch light. This piece is painted on a gessoed board with a black underpainting.